This shop was huge and perhaps overwhelming unless you have a lot of time (which I didn’t with a 4 year old in tow), so I stuck to a couple of smaller shops. We made a short trip to Paris last week. When I say short, I mean, we arrived in Paris late on Wednesday evening, and spent the whole of Thursday at EuroDisney, which Kezia was thrilled with. She got to meet Mickey Mouse and have lunch with Cinderella, Belle and Aurora (Disney princesses), and see the parade with all her favourite characters in. 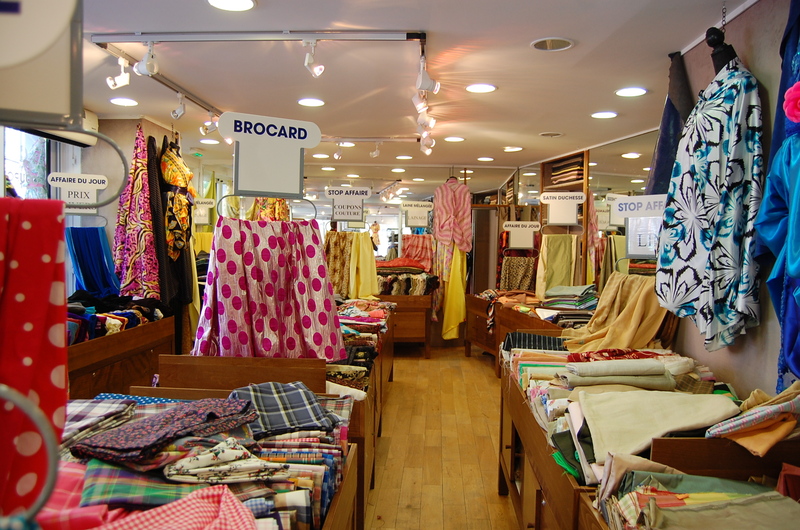 On Friday we had some time to spare before our flight back so we went fabric shopping. Ooh la la! 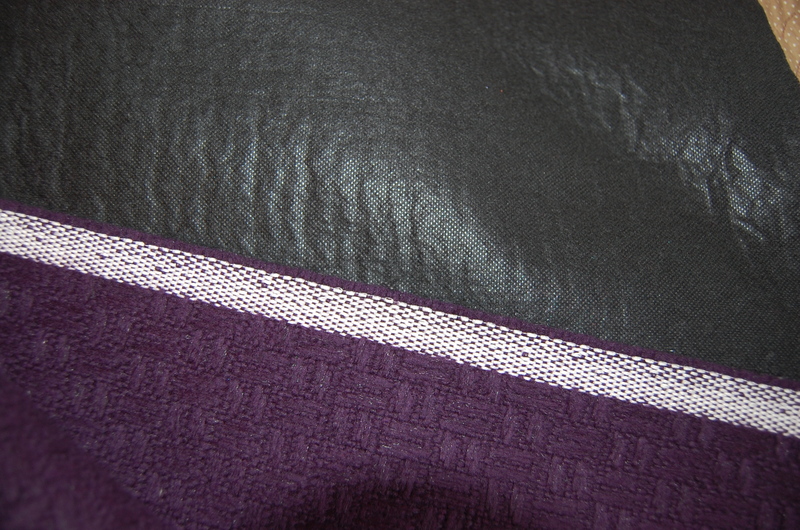 I bought my wool and lace fabric in the shop you can see on the left, with the purple canopy outside. Interior shot of the purple canopied shop: yes, fabric jumble sale comes to mind. You did have to dig, but it was worth it. 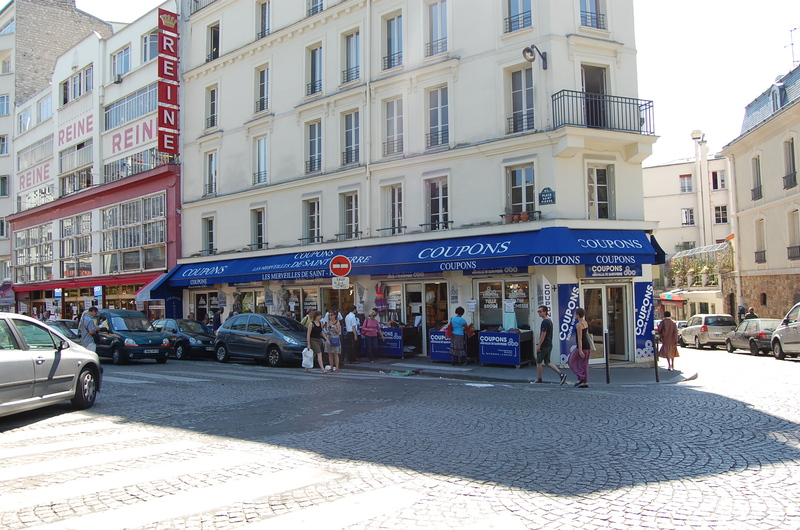 This shop with the blue canopy is where I bought my cottons. Interior shot of the shop where I bought my cottons. So, anyway, here’s what I bought. 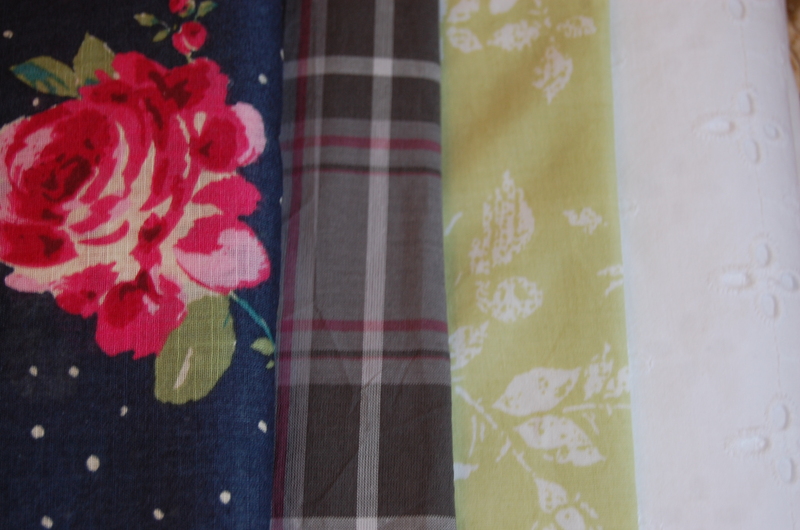 L-R: blue rose/ dotted cotton, grey checked cotton, light green/ white floral print cotton, white broiderie anglaise. The cottons have already been washed, dried, pressed and put away until next year. 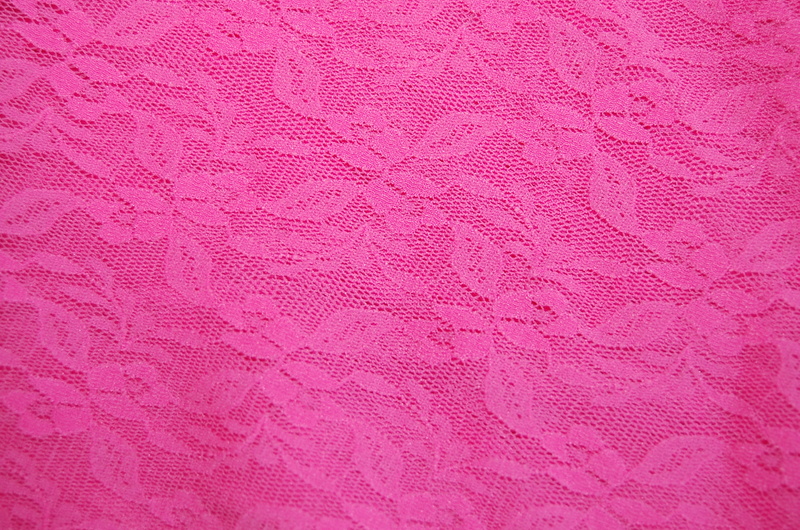 Pink lace – 20 euros for 3 metres. It has some stretch to it. I am thinking maybe skater style dress for her. I am sure I will be able to squeeze a top or something out of it for myself too 🙂 It’s is very wide I think. 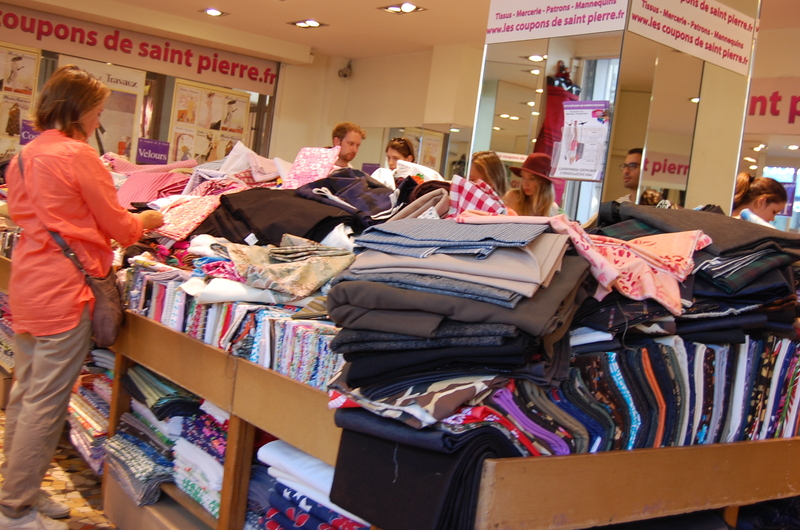 Wool fabric – 30 euros for 3 metres. Question: does this mean I don’t need to interface the fabric? I am thinking winter jacket. But I don’t know. Can any of you shed any light/ give some advice? So in conclusion, Paris fabric shopping for me was wonderful. There is so much choice and the prices were decent. I would highly recommend going if you have the chance and losing yourself in that wonderful area! That’s block-interfaced, also referred to as “needle ready”, because you don’t need to interface it. If you make a jacket or coat, I would recommend putting a lightweight interfacing layer in the lapels, but other than that, you won’t need to interface. Wow Ann that’s brilliant. Thanks so much! 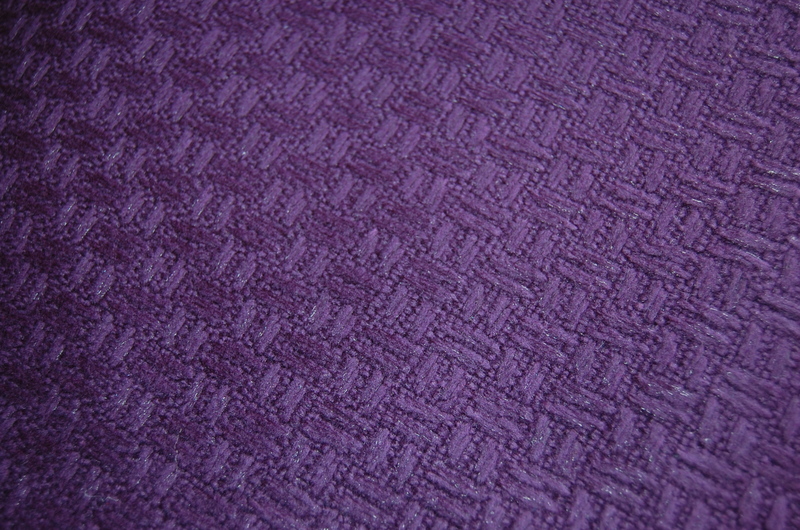 Blockfused fabric. It gives some stability to the fashion fabric. I often apply it when I need more structure. 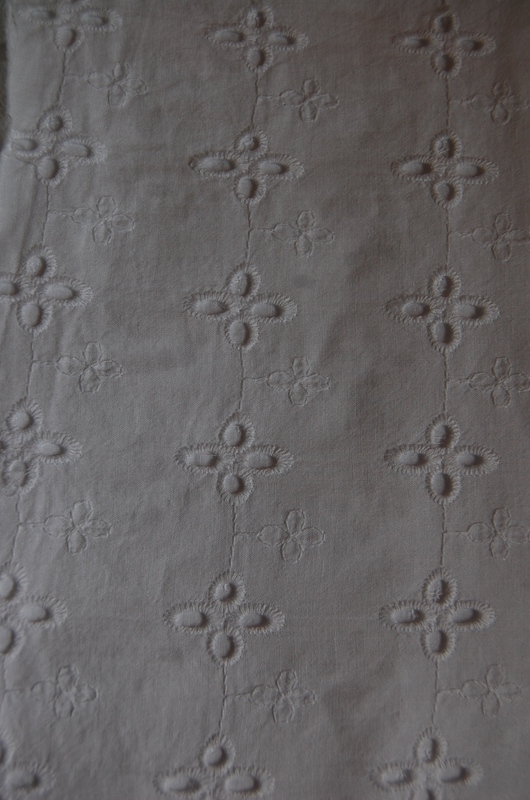 No interfacing required, but lining yes. Great haul! Well Carolyn I confess I didn’t realise what a find this was until you pointed it out 🙂 but I am glad I got it. Thanks for the insight! Looks great! 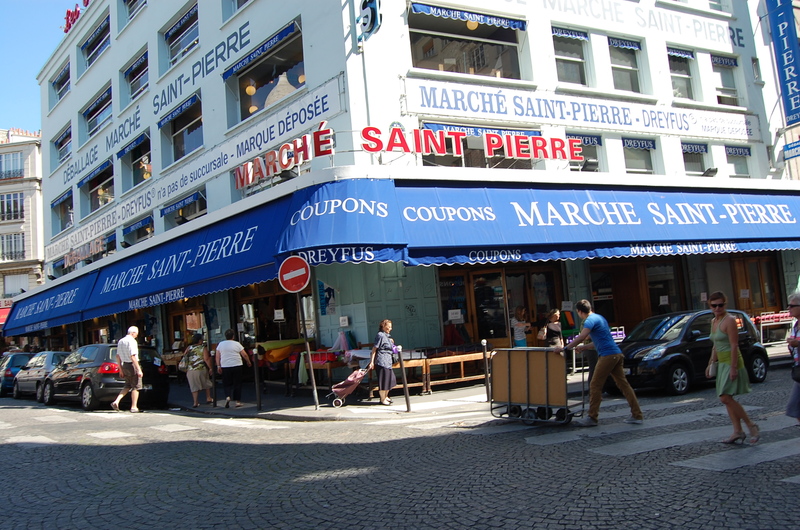 We were there this summer, you are right the marche saint Pierre was a bit overwhelming but I had a blast walking around all 5 floors! Love your fabric picks, especially the blue with flowers. Very pretty! Thanks margherita. Here’s wishing you get to go some time! 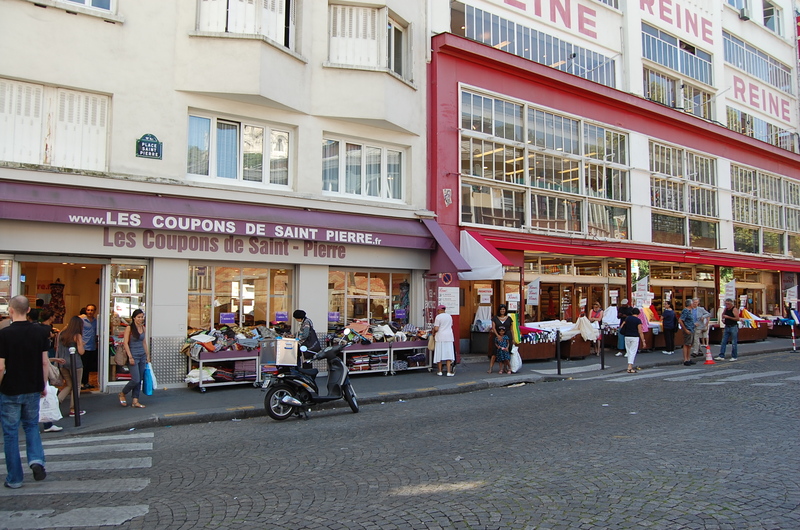 Oooh, fabric shopping in Paris, how wonderful! Love your purchases. I so need to go to Paris soon. Thanks Sam. If you can get a cheap flight/ ferry/ train etc you have to go sometime.